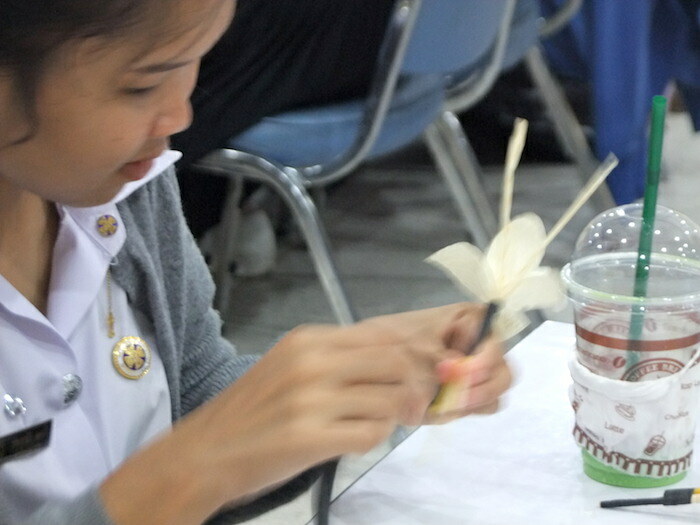 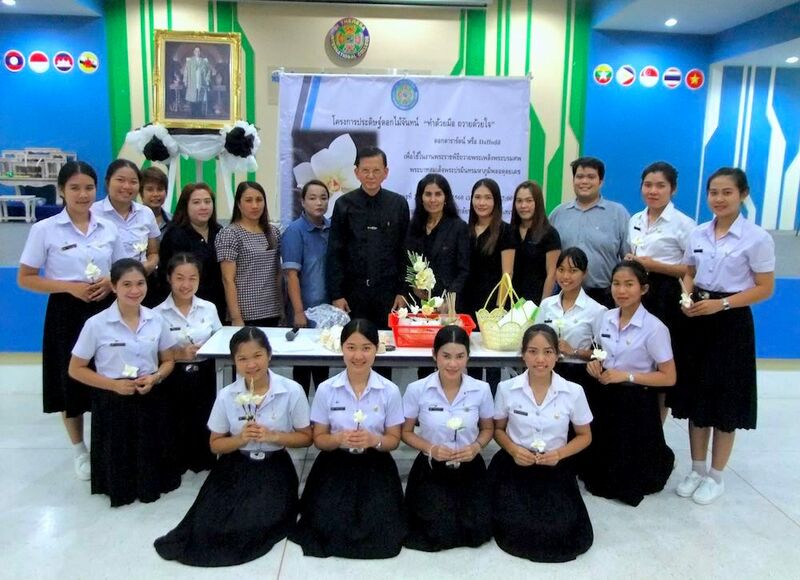 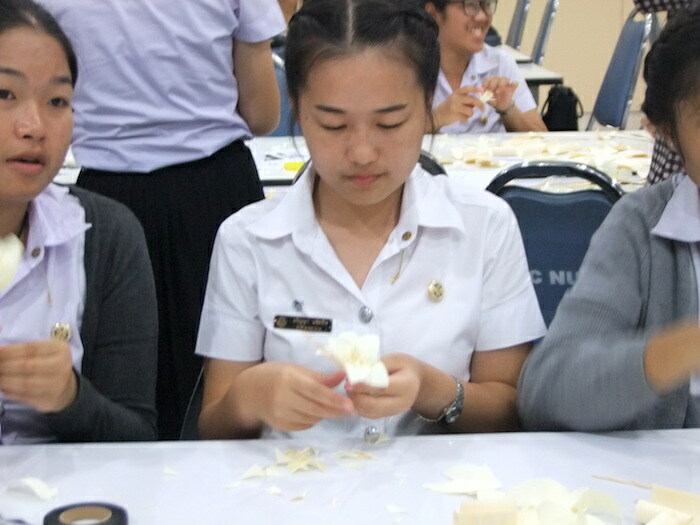 In honor of HM the late King Bhumibol Adulyadej, student representatives from St Theresa International College have collaborated with the Buengsan Subdistrict Administration Organization for the initiation of training activities in daffodil cremation flower folding. 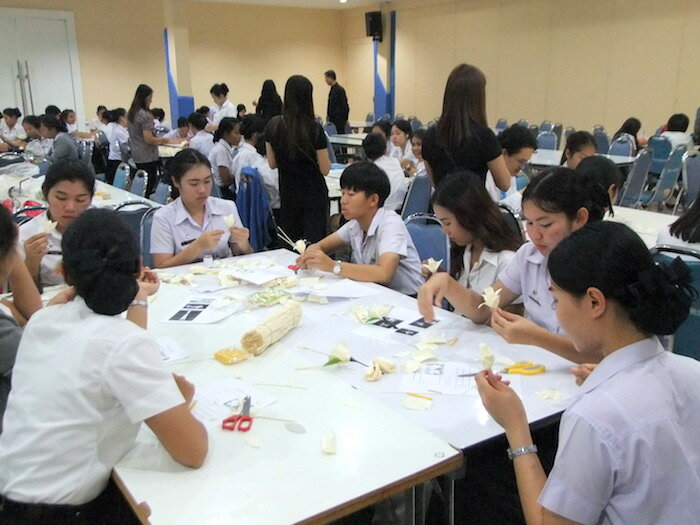 The training activities were held on July 19, 2017 and August 2, 2017 in the Joseph Marie Hall. 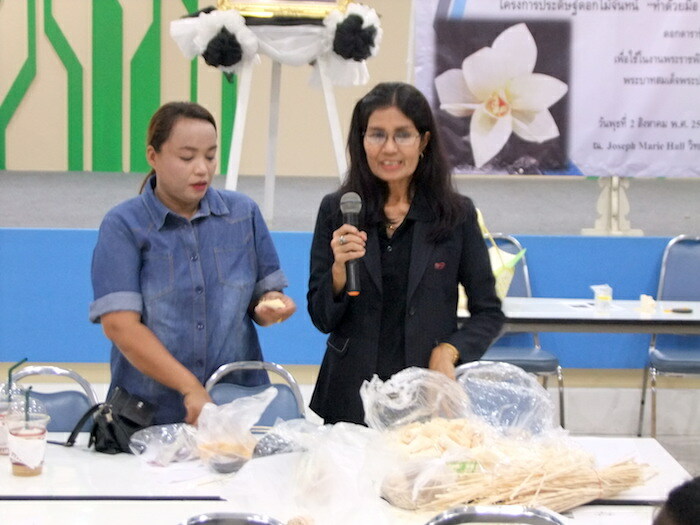 The making of the daffodil cremation flowers enables the people to express their love to His Majesty the late King, who will always be remembered with great respect and admiration. 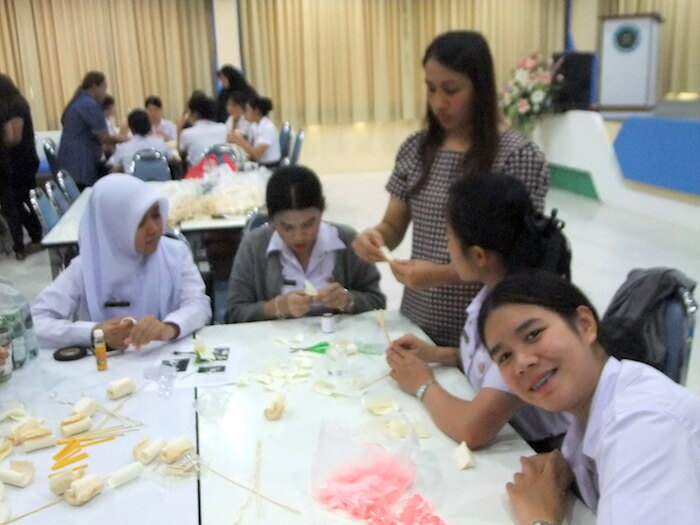 The activities aim to build harmony while preserving Thai arts and culture among communities.